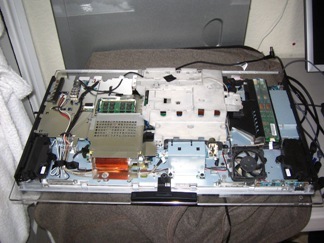 Bristol Computer Support was asked to repair a Sony Vaio all in one desktop. The hard drive was badly damaged, and the system would not start up. There was no recovery CD or backup to assist. This type of computer is very hard to repair. The model was a Sony Vaio Desktop Model 28201850. See Vaio picture below. These systems have the screen, PC, webcam etc all built into one very slim case. It is very similar to a laptop. The repair is not for someone unskilled as you could cause more damage, by shorting out an essential component. 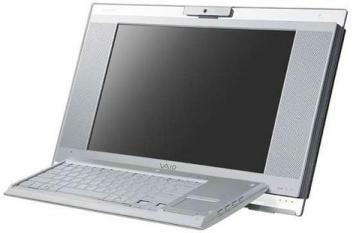 The Vaio is displayed below with the outer shell removed. This is the unit led on it's front, with the screen protected. 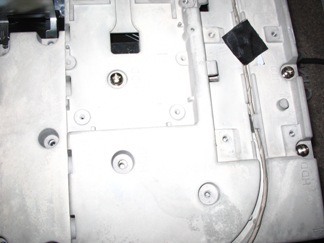 We undid all the screws, some were hidden, to free the back panel. The cast metal case near the middle is the hard drive unit. Carefully unscrew this unit, and relocate the wires running over it, before removing the drive caddy. We replaced the drive with a 500Gb unit, the orginal being a 300Gb drive. This system used SATA. 4 Screes hold the caddy together inside the case. We take photos at all stages on complicated jobs to allow a thorough log of how everything goes back together. These units do seem designed NOT to be repaired though. Undo the screws to free the hard drive. The hard drive is in another caddy, and needs to be replaced with the new drive. Put the cast unit back in, test the system, and then put it all back together. We then installed the operating system from our range of factory CDs and images, before tuning the PC with it's specific drivers, often downloaded from the manufacturers websites. This repair involved installing the factory setup for Windows Vista Home Premium. Finally we add some anti virus protection before delivering the PC back to the customer. A typical cost, to a home user, would be 2-3 hours @ £35 an hour, plus the cost of the spare parts. We carry most of the common spares parts needed.